I don't have much room at home. In fact make that no room at home so I've been on lookout for something like these products for a while. A tad on the expensive side but Free Stand especially looks perfect. 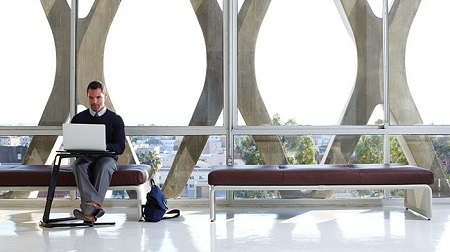 Whether you stand or sit while you work, chances are you may be using an office to get your stuff done. But, is it really necessary to have an office anymore? A lot of must-have equipment for just about any work environment now seems a bit obsolete because, well, there's an app that. For example, you can use a scanner to digitize important documents or you can use an app (like Evernote) to scan and store the items you need to keep. Like me, you might still prefer having a flat surface to work from or a smaller surface to use for your laptop or tablet. If you plan to minimize your physical work area or to re-design your home office, you don't have to give your desk up and permanently keep your laptop on your lap while you work. Instead, look for a smaller desk that will still give you the function you need. Do you work in the kitchen? Living room? If you tend to move about your home and have no stationary workspace, the HIDEsk might appeal to you. It folds when not in use, which means it can be stored in a closet or under furniture. And, because it's portable, you can take it wherever work takes you. This desk doesn't have drawers, so the trade off to gaining more space means you'll need to bring along your favorite pen or needed office supplies wherever you go. 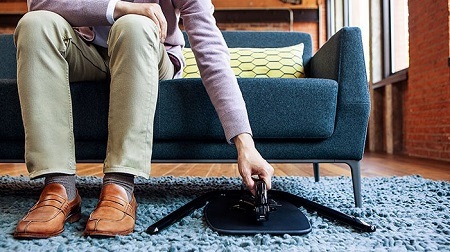 HIDEsk is designed to hold your tablet and open slots to help you control your cables and wires. 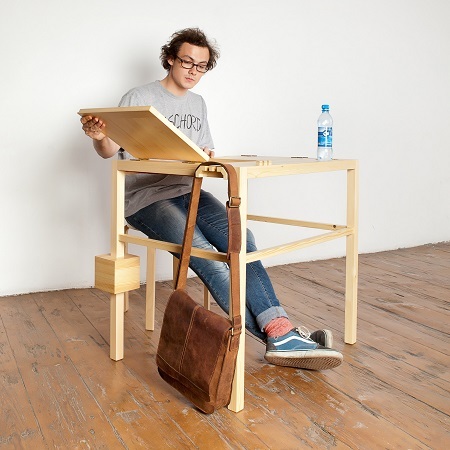 When the desk is no longer needed, you can fold it up and out of the way, transforming it into an easel or standing work area. 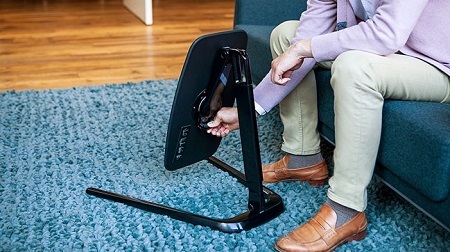 The Free Stand desk, designed by Stephan Copeland, folds flat for easy storage, has a carrying handle, and a surface that's big enough for your laptop. 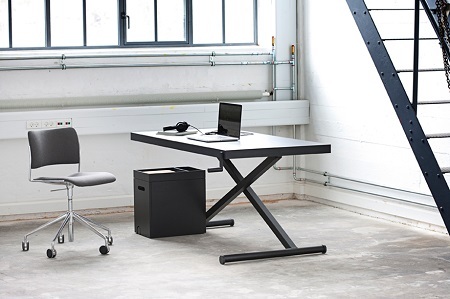 The desk adjusts from 20 inches to 27 inches to suit the height of your seating. 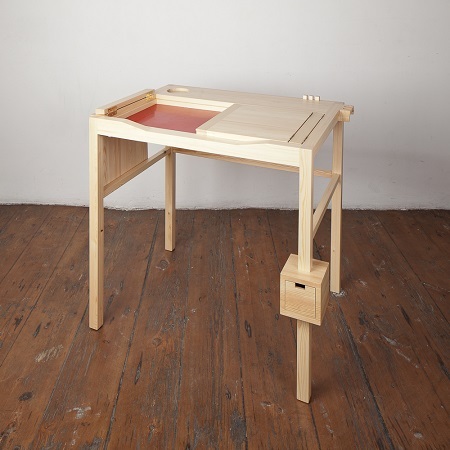 The XTable looks like a larger version of an ironing board and works in a similar way. It has an x base and a handcrank that you can use to reposition the height. This could work well if you share a workspace, no matter how tall you are. And, you can either sit or stand while you work. 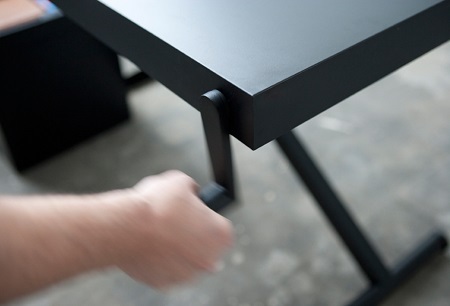 The XTable does come with one grommet and has an optional cabinet for storing supplies. This desk is designed specifically for students and has several features that will likely appeal to almost anyone. Like the other desks, the Zevaka Table takes up little space. But, unlike the others, it comes with a built-in mini-drawer, a bag hang, and a sleep space for tired students to take a nap on before they get back to work. There's also a storage slot for a drink. 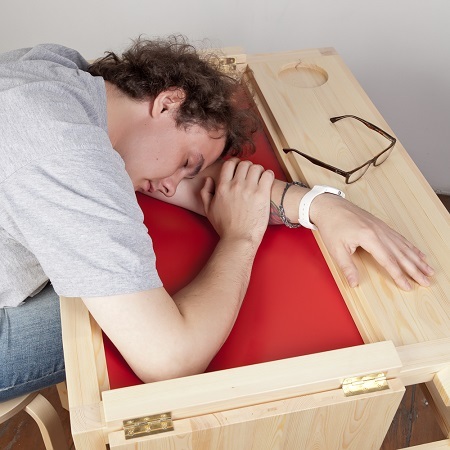 The sleeping hammock is revealed when the hinged desk surface is lifted. Let Unclutterer help you get your home or office organized. Subscribe to our helpful product shipments from Quarterly today.